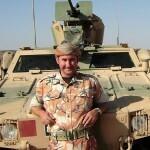 I joined the Royal Army Medical Corps in 1998 whilst studying at University to become a physiotherapist. 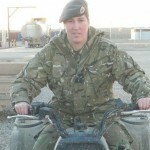 I was deployed on Operation Herrick in 2011 and played a role in the recovery and ongoing rehabilitation of countless severely traumatically injured personnel over my career of 21 years. When diagnosed with my own illness, I drew inspiration from those I had treated and made the decision not to let this define me. 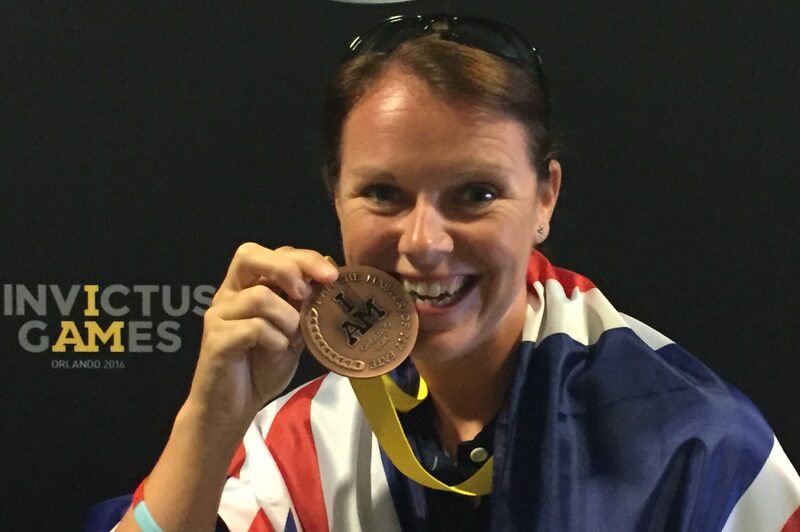 Taking part in the Invictus Games was twofold, in that it was incredible to see so many ex-patients I’d treated over the years overcome huge barriers to be taking part but also fantastic to be around a community of people who had an understanding of the difficulties I personally was facing. The Games have played a large part in my bumpy road to recovery and when things get tough, I look back and see what I was once able to achieve and try and hold onto that thought to get me through the dark times. 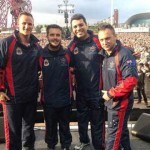 I chose to get involved with the Virgin London Marathon 2019 on behalf of the Invictus Games Foundation as I wanted to give something back and hopefully inspire others to realise that you don’t have to be the fastest or the fittest to be able to complete a marathon, whatever your age, gender, occupation or ability. Training for the London Marathon is having a really positive impact in that it’s getting me outdoors on a regular basis and helping me develop an exercise routine, which is something I haven’t had for a long time. I have run several marathons before but they never get any easier and so I never become complacent. A previous marathon was a little chilly! 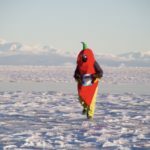 I have completed a few half marathons in preparation to test how my training is going and also to test pilot my unique costume! It can be challenging and time-consuming fitting the training in but I’m looking at it as an investment in myself which is something I’ve always neglected previously – there’s also the added benefit of losing weight. When it comes to the day itself, I always say to people that if they see me and they actually know me, make sure to shout out my full name! That way I will know it’s someone that knows me personally and will look round to see who it is, rather than someone just shouting my first name because it is written on my costume! Following the marathon, I’d like to put my own experiences of ups and downs to good use in a positive way to show others what can be achieved, even when they may doubt themselves. I hope to do this by going into schools and workplaces and demonstrating that sport and exercise can be fun and impactful, doesn’t always have to be competitive, and a powerful tool for change! © Handcrafted by Vitamin London. All Right Reserved 2016.